The Central Bureau of statistics reflects what realtors around the country know, demand is down for housing both in the rental and sales markets. Compared to Q1 last January, 2012, apartments sold or built reflect a drop of about 20%, since the prior quarter, demand is down 6%. This drop affects mainly the markets of Tel Aviv and environs and the southern sector. The recent trauma of rocket attacks last fall as well as the significant drop in foreign currencies such as the US $ and the Euro as well as the British pound are factors in this author’s opinion that cannot be overlooked. Even if foreigners are not entering the marketplace with their currencies, many Israelis have their capitol invested in foreign currency savings accounts. Foreigners entering the Jerusalem market has long been a significant factor and with their currencies down and fears of war heightened fewer foreigners are entering that marketplace. The good news is for those who have the capital to invest the contrarian view is that 2013 is the year to purchase while prices decline. Experts predict 2013 spring and summer months may see increase in activity but no change for the better in prices for sellers and landlords. There is still plenty of inventory in the major cities but only sellers with realistic goals and who need to sell will be willing to drop their prices to a real market value. Even with the Passover holiday falling in March (most banks give only partial service in that time) the number of mortgages granted was up this March as reported by business news magazine Globes. Good news considering that prices continue to drop with a general malaise in both the sales and rental markets in major metro areas. This increase in mortgages reveals that in spite of the Bank of Israel restrictions put in place in early 2011, primarily the requirement of 40% down payment to obtain one, that there are those who are able and now willing to pass through the restrictions. Concerns of rapidly rising prices in 2010 after five years of steady incremental climb, the head of the Bank of Israel announced banks would have to follow austerity measures in order to prevent a real estate boom to bust cycle, or bubble. At the time financial leaders here indicated that restrictions would be in place for two years. Is the Market Waking up? For months I have been posting about the slowdown in the real estate market in Israel countrywide. It started last spring when austerity measures of 40% down payments were instituted along with tent city protests against the high cost of housing. Although many already on the housing ladder had the funds to ‘buy up’ the fear that prices might come down more put a temporary paralysis in the market. The saying was “only sellers that have to sell are selling and for 10% less than 2010”. It isnt just that its summer, although that is a traditional real estate cycle of high activity in the later months of spring and summer. There seems to be a perception that waiting is now NOT the thing to do. Haaretz today published an article subtitled, It’s time to stop sitting on the fence: Housing prices aren’t going to drop much, if at all. In my personal real estate business and circle I am always asking other active agents how they are seeing trends in the market. Just this week facing two situations of multiple offers on the same property, I asked one of the other agents “What gives?” Her explanation was one I expected since two of the parties involved were French, those with Euro are afraid, the French are afraid of high taxation from the new PM Hollande and anti-semitism rising. Other Europeans are afraid of their currency value dwindling in paper assets and are ready to invest in a real estate market that has remained traditionally strong, Israel. For Americans, the dollar is reaching excellent heights with many expecting it is a short-lived rise due to the nearly universal acknowledgment that inflation and devaluation isinevitably coming, especially if the present tax and spend administration there regains the White House. 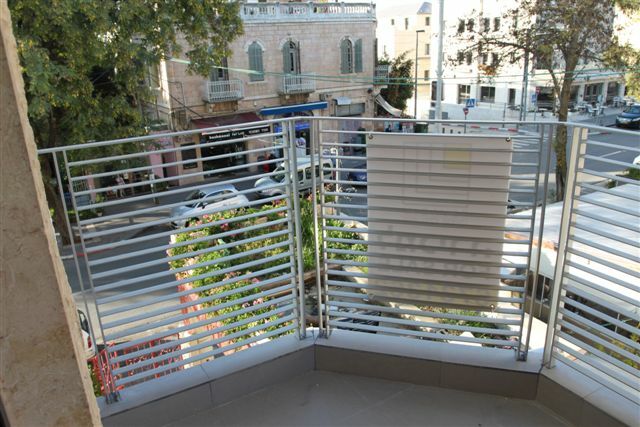 For Israelis its summer, yes, but there is also the perception that prices did come down, sellers who couldn’t sell are lowering or have lowered and when they do that may be as good as its going to get due to the influx again of foreign money. The tremors of the Euro and in the US stock market have helped shore up the dollar here against the shekel. At a current rep rate of 3.82 NIS those who were in the property market last year with assets in US currency who forestalled buying now find themselves in the best of positions. Many sellers who bought new apartments from builders in the last year or two that put their selling on hold not wanting to move temporarily to rent while awaiting their new apartment now find their present apartments worth 10-15% less value due to a slight glut in the existing second-hand market. Haaretz published an extensive article on the current conflict in the Israeli property market; that sellers are reluctant to lower their prices but the reality for those who must sell is “accept a lower price gratefully”. This is seen by many property agents as a market correction, with government assistance after the stellar rise in values over 2005-2010 that brought prices too high. 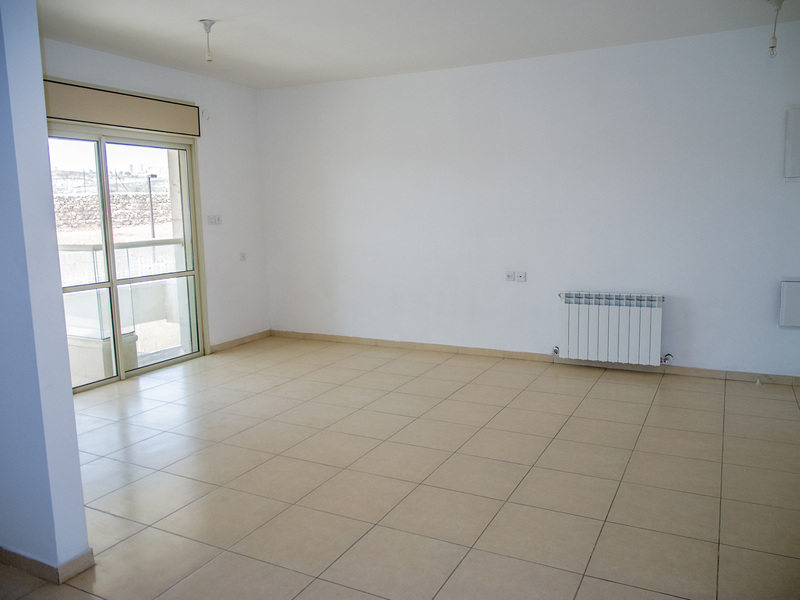 This agent has worked significantly in the Maale Adumim market where many young families took the periphery location as a compromise to get more apartment for their money in hopes of mobility in the next few years. This agent’s experience has proved that many units that have been priced at a current popular asking value are sitting unsold months later. I recently noted a very improved newer apartment in an excellent building in that locale with an attractive asking price compared to the competition. I called the seller who already had an offer in a few weeks. They priced themselves about 11% lower than competing properties and sold in weeks. The number of those under the pressure in the periphery who bought new units on paper are now facing the crunch; ask a realistic and modified price based on current values or sit until forced to move. If I had a pulpit in the United States I would push the message “Buy now while your dollars are still high!” With current US fiscal policy the strength of US dollar is most likely a very temporary situation. 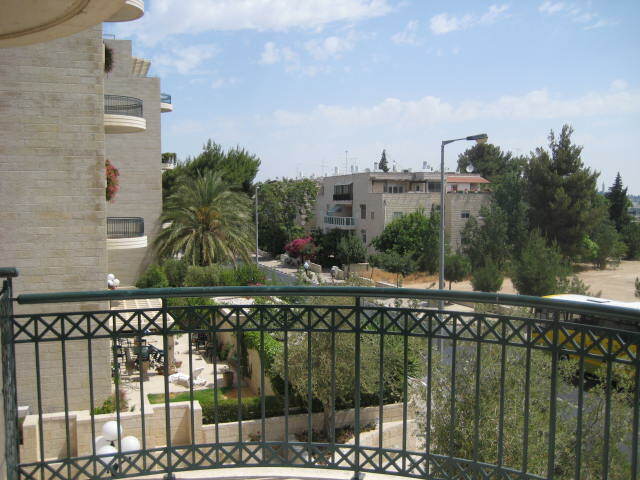 For those who dream of a pied-a-terre in ISrael, now is the time to take the plunge! Tel Aviv too High Priced? Harel Financial Services and Investment firm made the statement this week that Tel Aviv apartment costs are 45% too high. Tel Aviv is now ranking 11th in the list ofcities with the most expensive real estate. London tops the list at a cost of approximately $17,000 per square meter. 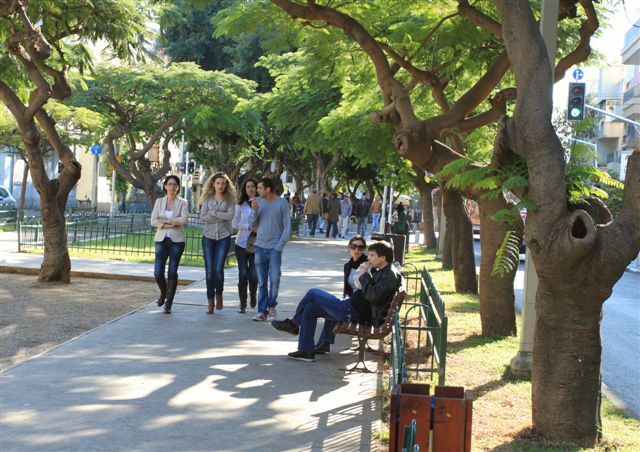 Tel aviv average cost per square meter is $7,700. 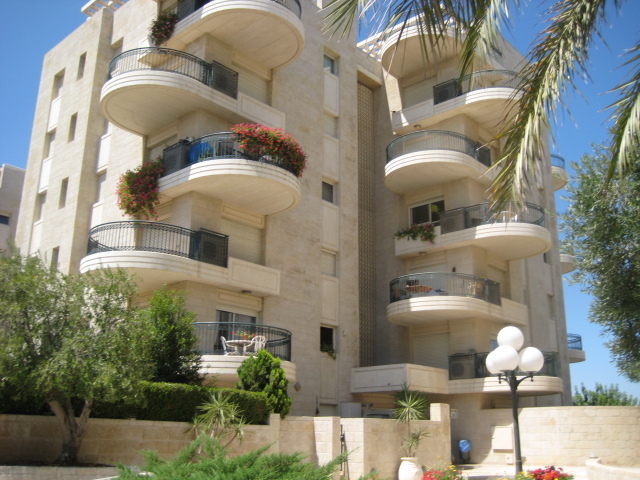 Harel’s reasoning for its feeling that Tel Aviv real estate is over-inflated is part of the greater picture of real estate in Israel, citing government owned land as a majority ownership, the high costs of building and infrastructure that is substandard to European, American and Asian competitors that are in the top 50. Has the Bubble Fizzled but not Popped? According to the MInister of housing prices of housing have dropped countrywide. New construction is down 11% existing housing by 6%. His theory is that there is a current surplus of housing on the market. This writer’s theory is that the austerity measures taken by the government to make it more difficult to get new loans has forced the price drop, either passively, for those who are now not able to get a mortgage. Actively it is affected by those who have the ability, qualification plus 40% down payment but understand the market is trending downward and if they wait it out prices will be forced dowm. The lenient policies of mortgagors here gives opportunity for a homeowner to put off foreclosure and get his financial house in order. Foreclosure is a rare event since most homeowners obtained their mortgage within strict guidelines as well as at least 25% down. Pscyhologically it is difficult for the homeowner who has seen an annual consistant rise in housing prices have to face the reality that their home is worth 11% less when it comes time to close the deal. In newer construction neighborhoods, I have observed that the same units are sitting on the market, many since last fall, refusing to lower their price to the new levels. Those who must sell are seeing the 10% drop not in asking but in order to close the deal. 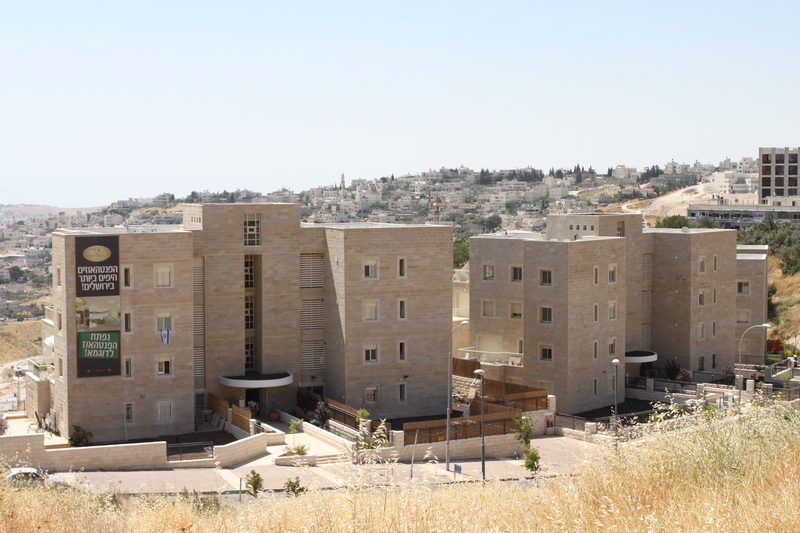 The treasury department announced a change in the purchase tax rate to allow the tax exemption on the purchase of a home for the first 1,350,000 NIS. Although the move is said to benefit at least 8000 couples who will purchase this year rising prices continue to strain the new buyer who will have to come up with a 40% cash downpayment on that amount. The 40% guideline is in effect to try to restrain the rise in housing prices which rose 17.3% since 2008 with the average four-room apartment rising in cost 29% within that same time period according to the government assessor’s office’s statement published last Monday. 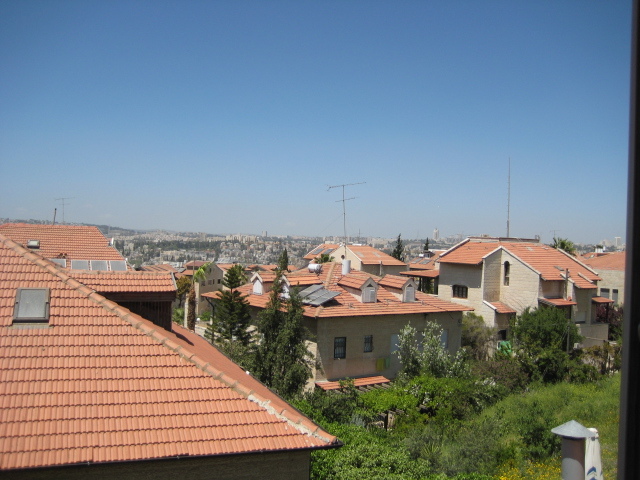 Some areas have seemed to have capped that were on a steep rise, such as central and north Tel Aviv and central Jerusalem, but prices in the relatively more affordable areas of Maale Adumim, Modiin, Beer Sheva and other outlying districts are now seeing more rapid rises in valuations as demand increases.